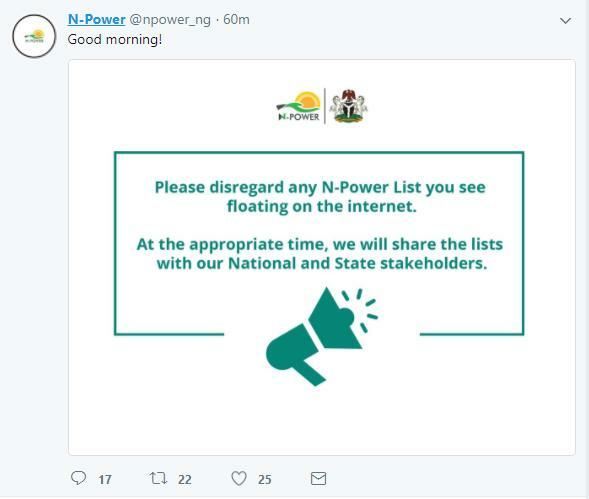 N-Power, Federal Government empowerment scheme, on Friday distanced itself from the list of successful candidates being circulated online. The scheme urged Nigerians to disregard the list as it’s not authentic. 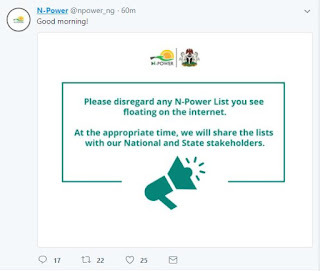 “Please disregard any N-Power list you see floating on the internet.